It’s safe to call 2018 as the year of notched phones. The Essential Phone was the first Android phone with a display cutout, but the notch only became popular after the launch of the Apple iPhone X. This year, flagship and mid-range phones from the likes of Huawei, Xiaomi, LG, OnePlus, OPPO, Vivo, Google, HMD Global, and others have incorporated display notches. We have seen that some notches are much better than others. By and large, the smartphone market has accepted the notch as an acceptable compromise towards a “full-screen” display until we see the wider adoption of more radical solutions like display sliders, popup cameras, or even an under-screen front camera. Up until now, though, we haven’t seen dual notches. This changes today as the Sharp Aquos R2 Compact has now been launched in Japan with the dubious distinction of being the first phone with dual notches on the top and bottom of the display. Sharp is a company that is more renowned for making display panels rather than for making smartphones. The company’s phones are only sold in Japan, which means they have extremely limited availability. The same is true for the Sharp Aquos R2 Compact, which is a Japan-only phone. Some Google Pixel 3 XL users may already have seen dual notches, but that was a software bug which has been fixed. The Sharp Aquos R2 Compact, on the other hand, has two actual hardware notches: a waterdrop notch on the top, and a wider notch on the bottom. The waterdrop notch is something that is becoming increasingly popular on phones such as the OnePlus 6T, Huawei Mate 20, and various OPPO and Vivo phones. The bottom notch is unique, though. Why does it exist? The Sharp Aquos R2 Compact has a front-mounted fingerprint sensor, and to make the phone “more compact,” Sharp has gone for a bottom display notch in addition to the waterdrop notch on the bottom. We will leave it to readers to see if they find the design of the Sharp Aquos R2 Compact aesthetically pleasing. Personally, I think this design looks worse than that of the upcoming Asus ZenFone 6, which is reported to have an offset display notch. With the Aquos R2 Compact, symmetry is broken on both ends of the display. The reason for adding a bottom notch does not seem to make much sense. If Sharp wanted a compact phone, the fingerprint sensor (which also acts as a home button) could have been moved to the back, which would have saved valuable space on the front. The Aquos R2 Compact is powered by a 2,500mAh battery that is smaller than the battery capacities of other Android flagships. Its 5.2-inch IGZO LCD supports an ultra-fast 120Hz refresh rate, which is still a rare feature in Android flagships. This should improve UI smoothness, and the effect also will be felt on games which support a 120Hz refresh rate. The visibility of the display is also said to have been improved over past Sharp phones. 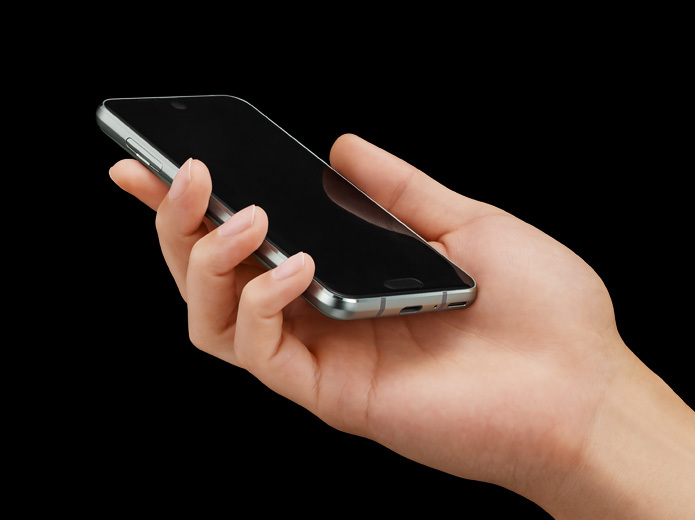 The home button on the front also performs as a fingerprint sensor. It also supports gesture navigation, and users can swipe left and right on the fingerprint sensor to go back and access recent apps respectively. Interestingly, Sharp notes that dual notches are natively supported on Android 9 Pie (users can simulate them by going to Developer Options > Simulate display cutout). Sharp’s CEO also doesn’t believe that a bottom display notch will negatively have an impact on app compatibility. Finally, the Sharp Aquos R2 Compact supports face unlock. 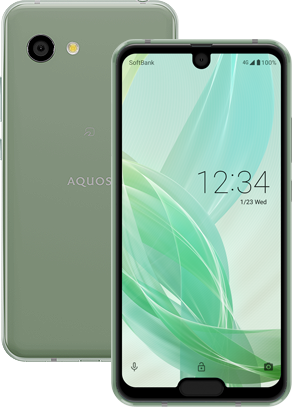 The Aquos R2 Compact will go on sale via Softbank in Japan in mid-January, and the company is also considering releasing a SIM-free version of the phone. What are your thoughts regarding the dual notches of the Sharp Aquos R2 Compact? Let us know your opinions in the comments below.